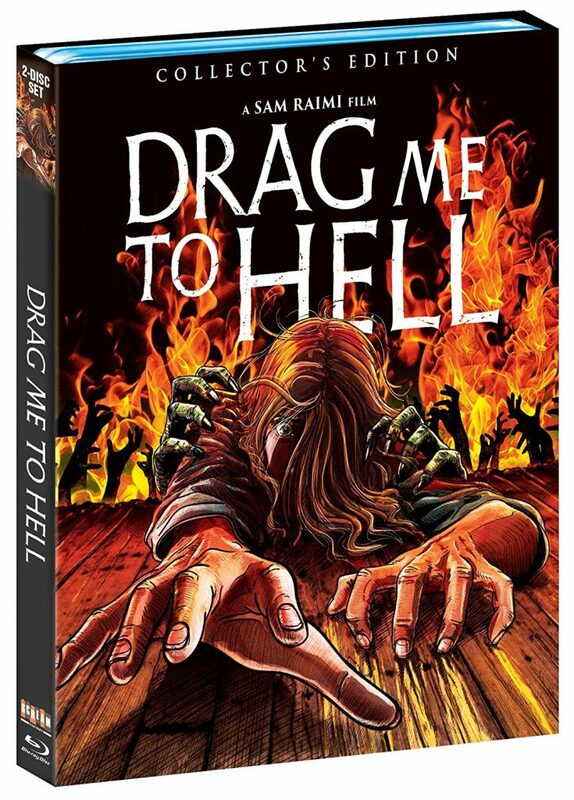 ‘Drag Me To Hell’ is getting the Scream Factory Collector’s Edition Treatment on Blu-ray! After Sam Raimi (The Evil Dead Trilogy) got done filming ‘Spider-Man‘ movies and a variety of other non-horror projects, the master filmmaker returned to his roots with a fun-as-hell film called ‘Drag Me To Hell‘, which mixed his unique style of silly humor and ultimate terror. The film was released in 2009 and was a return to form for Raimi, before he got on board with revamping ‘The Evil Dead‘ in TV series form. The new collector’s Edition Blu-ray will be available on February 13th and have theatrical and unrated cuts of the film, a new transfer, and new interviews with the cast. Prior bonus features will also be available here too. I can’t wait for this one. Scream Factory is Bringing ‘Killing Ground’ and ‘Darkness Rising’ to Blu-ray! A couple of very cool, indie horror movies are making their way to Blu-ray on November 7th from Scream Factory and IFC Midnight. They are ‘Killing Ground‘ and ‘Darkness Rising‘, which you can read about below. Both films are terrifying and very well made, and I hope the filmmakers are on their way to make more movies. I even got to talk with the director of ‘Killing Ground’ – Damien Power a while ago about his process and inspiration in the horror genre. He’s a director to watch out for. I can’t wait for you all to see these. Scream Factory Is Releasing a 4K Restortion of Stephen King’s ‘Misery’!!! 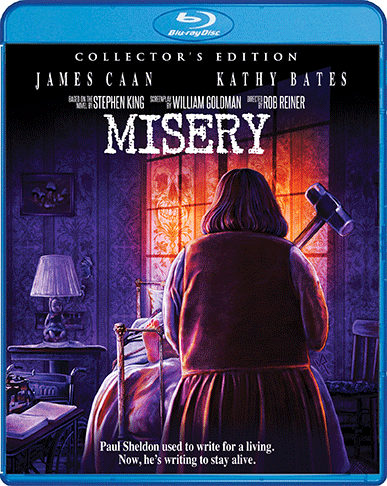 Scream Factory presents ‘Misery‘ in a 2-disc collector’s edition Blu-ray set that will arrive November 28, 2017. From the chilling mind of Stephen King, ‘Misery‘ is based on his novel of the same name. If you’ve read the story, you wince at the thought of Annie Wilkes with an axe, but if you’ve watched the movie, you’ve cringed when you think of Kathy Bates with a sledgehammer. A role that will lead Bates to accept an Academy Award for her off-center portrayal of the crazed #1 fan, Annie Wilkes. The Devil’s Candy Available In September from Scream Factory!!! ‘A Dark Song’ Releases From Scream Factory and IFC Midnight!!! The debut feature from rising horror auteur Liam Gavin, ‘A Dark Song‘ is available on Blu-ray on DVD September 5th, 2017 from Scream Factory in conjunction with IFC Midnight. 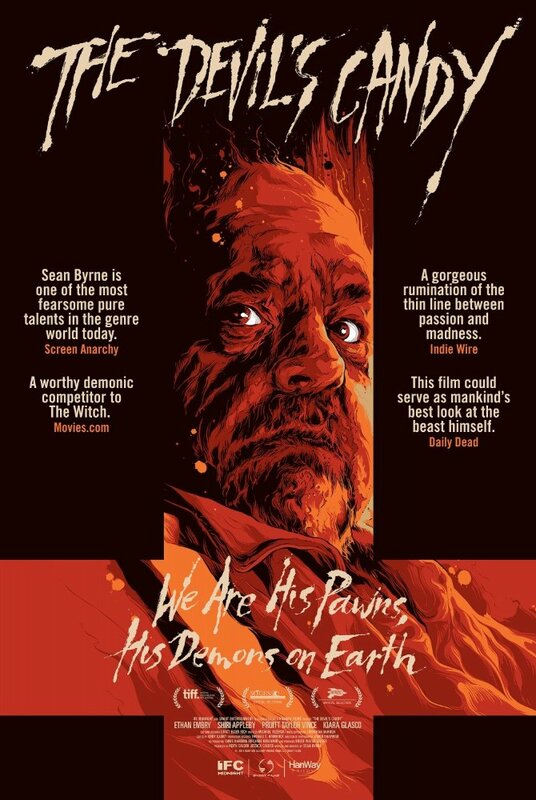 The release also includes interviews with director Liam Gavin, actors Steve Oram and Catherine Walker, and director of photography Cathal Watters, deleted scenes, storyboards and the theatrical trailer as bonus features. Fans can pre-order their copies now on ShoutFactory.com. 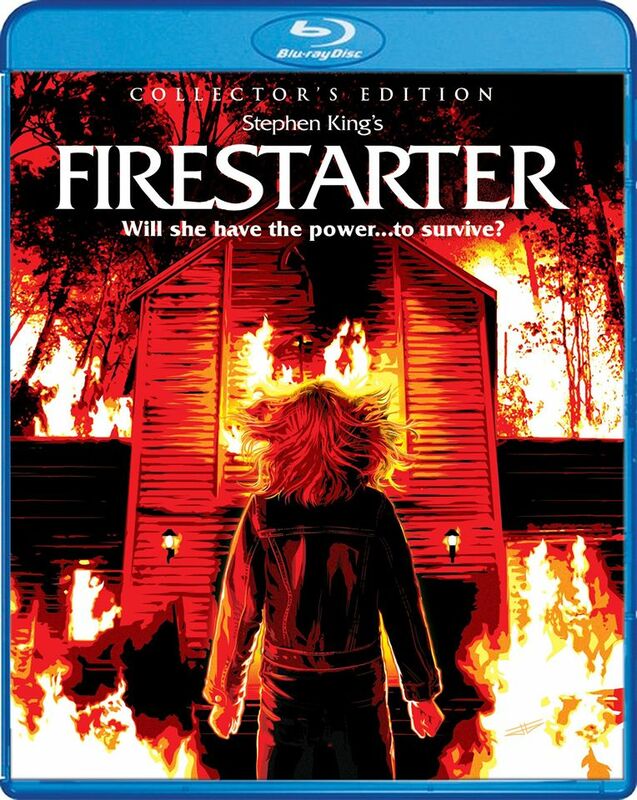 Scream Factory Debuts Collector’s Edition of ‘Firestarter on Blu-ray!!! Scream Factory is debuting a new Collector’s Edition Blu-ray of 1984’s ‘Firestarter‘, it will be available March 14, 2017 and comes loaded with bonus features, including a new 2k scan of the inter-positive film element. Get Ready for the ‘Antibirth’ from Scream Factory! Scream Factory us releasing the horror film ‘Antibirth‘ on February 7th, 2017 that stars Natasha Lyonne and Chloë Sevigny. This is a comedy-horror film that looks to mess with your mind and make you laugh, along with some gross out thrills. Mark Webber (Scott Pilgrim vs the World) and Meg Tilly (Psycho II) also star in the film. Surprisingly, this film has received a ton of high praise from all over the world and it even premiered at Sundance last year to rave reviews. I for one can’t wait to see this. Get Your Scream On With ‘Poltergeist II & III’ From Scream Factory!! Get ready to start the new year with a scream when Scream Factory releases Collector’s Editions of ‘Poltergeist II‘ and ‘Poltergeist III‘ on January 31, 2017. There are plenty of extras by way of commentaries, featurettes, interviews and more. Scream Factory Debuts Two David Cronenberg Films In November!!! Scream Factory is doing it again! Two legendary David Cronenberg films get a blu-ray debut, ‘Dead Ringers‘ and ‘Rabid‘! These are going to be definite must-haves for fans who want amazing collector’s editions of some of the greatest creepy flicks. Scream Factory Offers ‘Child’s Play’ In Two Blu-ray Collector’s Edition Packages!!! If you were one of the millions of kids in the 80’s that never looked at our dolls the same way again after ‘Child’s Play‘ hit the big screens in 1988, Scream Factory has got an awesome collector’s edition of the flick to bring back those fond, or not-so-fond, memories. If you’re a millennial kid, or later, this is a pre-requisite in understanding what was so wonderful about 80’s horror movies. Scream Factory Presents ‘Lady In White’ On Blu-ray!!! I love, love, love Scream Factory! 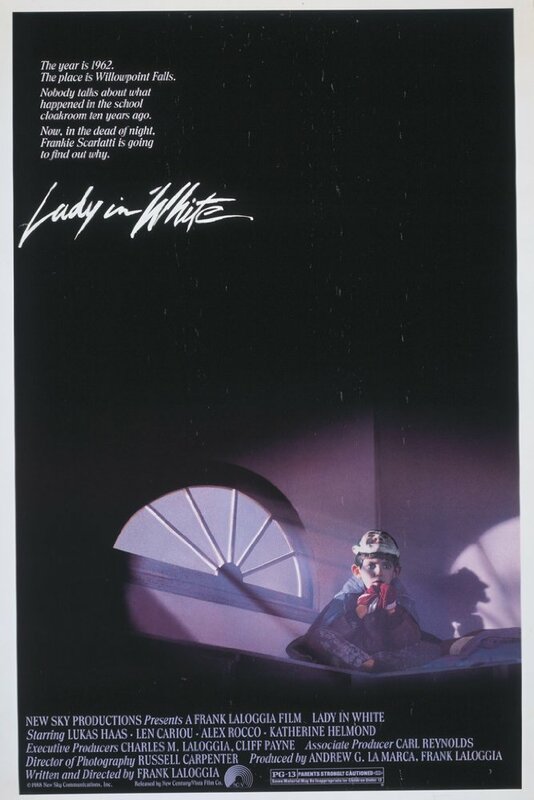 They are giving new life to throwback horror titles and the next one up for renovation is ‘Lady in White‘ from 1988. The feature will head to Blu-ray in a 2-disc set featuring a director’s cut on September 27, 2016. ‘Session 9’ On Blu-ray From Scream Factory!!! Scream Factory presents ‘Session 9‘ on Blu-ray debuting August 16, 2016. The horror mystery is from 2001 and stars David Caruso (‘CSI: Miami‘), Josh Lucas (‘American Psycho‘)and Paul Guilfoyle (‘CSI: Crime Scene Investigation‘) under the direction of Brad Anderson (‘The Machinist‘). The release is absolutely packed with bonus features that make this a must for any genre collector or film buff. 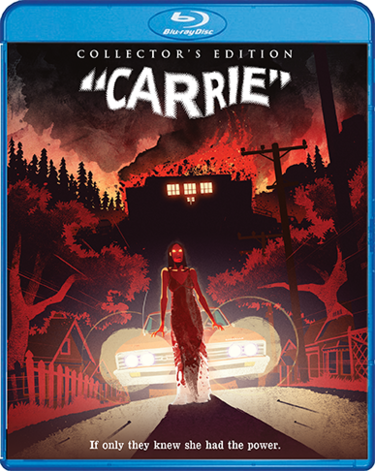 ‘Scream Factory Presents ‘Carrie’ Collector’s Edition!!! ‘Carrie‘ is a fantastic read from the legendary master of chills – Stephen King. The novel has a special distinction for the movie world, it’s the first of King’s works to be adapted to feature film. The beginning of what is still a lucrative and exciting era of movies. Now director Brian DePalma’s spellbinding horror is celebrating it’s 40th anniversary with an all-new collector’s edition from Scream Factory on October 11th, just in time to have a spooky screening for Halloween. 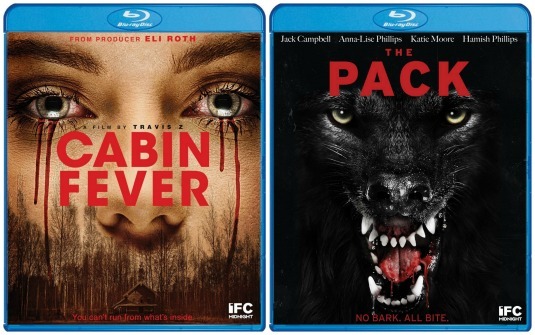 Scream Factory Will Debut ‘Cabin Fever’ and ‘The Pack’!!! Scream Factory is pairing up two action-packed thrillers in one of their famous DVD and Blu-ray debut sets. This time Scream Factory is working with IFC Midnight to present “Cabin Fever‘ and ‘The Pack‘ for home video debut July 5, 2016. Pick Up Your Copies Of ‘Jeepers Creepers’ 1 & 2 From Scream Factory!!! 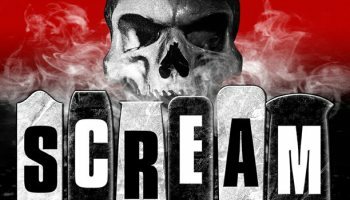 On June 14 Scream Factory will release the ultimate version of two horror movies that are a must-see for any true fan of the genre. ‘Jeepers Creeper‘ and ‘Jeepers Creepers 2′ collector’s edition set has tons of extras, some of which are never-before seen. Yo... what's your name, slick? Ivan? What's your name, buddy? [looks back at Xander] MY name is Ivan. [looking confused] You're both Ivan?